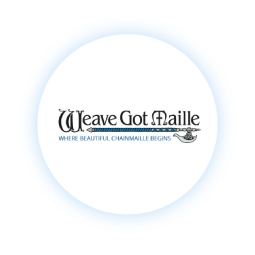 Weave Got Maille is a local business located in Ada, Minnesota and leads as a top wholesaler, retailer, and manufacturer of chainmaille, jump rings, kits and accessories. Weave Got Maille had previously placed minimal resources since their website launch into Conversion Rate Optimization and improving their shopping experience until they started working with us. We identified numerous conversion barriers and opportunities that could have an immediate impact on conversion rates and revenue. In March 2016, we started working with Weave Got Maille to improve their website structure and conversion rate. We analyzed their website from design and shopping experience perspectives and worked to eliminate friction in their navigation and checkout process. We also leverages tools to asses real user behavior and idenfity key issues that were not obvious but had significant impacts in site abandonment. Through our analysis we identified and improved a number of items, some including the navigation experience through category pages, implemented a wizard to quickly jump to products, improved the product page experience and improved the checkout flow.